After a strong performance in the EuroBasket 2011, Great Britain moved up in the recent world rankings released by FIBA, the world-governing body of basketball. Previously ranked as the 56th best country in the world, Great Britain improved by 13 places, making them the 43rd-ranked team in the world and was the second most-improved team based on the rankings. Macedonia, who was the most surprising squad in this year’s European Championship, was the most improved team, climbing 13 places from 47th to 33rd. 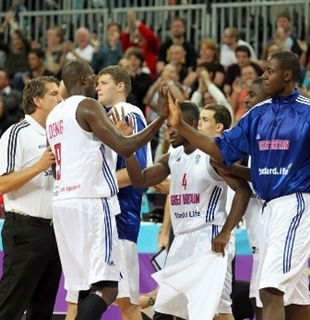 Great Britain played in the EuroBasket 2011 with no pressure on them having clinched a spot in the 2012 London Olympics for being the host of the event. The Chris Finch-led squad won two of their five preliminary round games in the group that was tabbed as the strongest group of the tournament. They collided with eventual champions Spain, host Lithuania, Turkey, Poland, and Portugal. As expected USA, the reigning world basketball champion, remained on top of the list followed by Spain and Argentina, who clinched the third spot in the rankings. Greece, Lithuania, Turkey, Italy, Serbia, Australia, and China completes the Top 10 in the FIBA World Rankings for Men.